I'm doing something different this week! 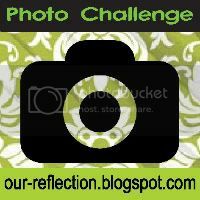 I'm entered a photo challenge for the first time. I've been realizing photography is a pretty big component of blogging and I should improve as my skills are mediocre at best. Laura at Our Reflection hosts a weekly photo challenge and this week was "from a low angle". Each week is different. I've been lurking for a few weeks getting the guts up to enter. After church this morning I am staying in Spartanburg until an event at church this evening, so I wandered over to our church's memorial garden and decided it was perfect photo fodder. Do you like it? Photography is an art for which I've ever had any training, so I'm trying to self-teach. Fellow self taught photographer here. I love the super low angle perspective of this photo. Plus, all that color off in the distance. I'm visiting from the Our Reflection linky party. I would love it if you stop by my blog. I love the color in this pic!